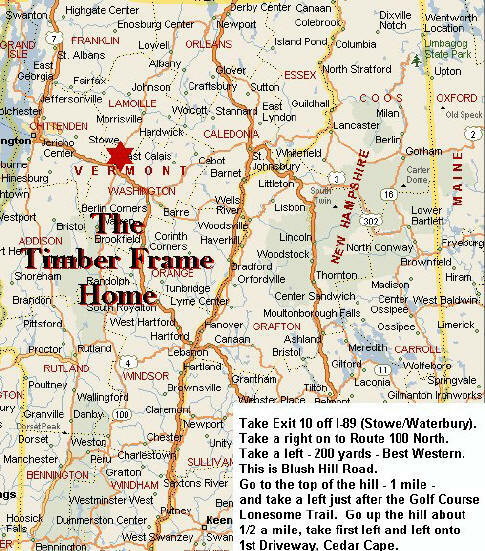 Take Exit 10 off I-89 (Stowe/Waterbury). Take a right onto Route 100 North. Take a left at Light – 200 yards – Best Western. This is Blush Hill Road. Go to the top of the hill – 1 mile and take a left just after the Golf Course Lonesome Trail. Go up the hill about 1/2 a mile, take first left and immediate left onto 1st Driveway, Cedar Cape.